Fleas are a nuisance to both yourself and your pet, and it is only natural to want to eliminate these pesky insects straight away. However, fleas are resilient and no matter how well you spray your house and treat your pet, a flea infestation will not go away overnight. To understand why, we need learn about the ‘pupal window’…. The pupal window is the period after beginning treatment for a flea infestation during which new adult fleas are emerging from pupae in the home and being seen on your pet. New adult fleas cannot be killed while they remain in the pupae – no environmental flea spray or ‘spot-on’ treatment is effective against pupae. 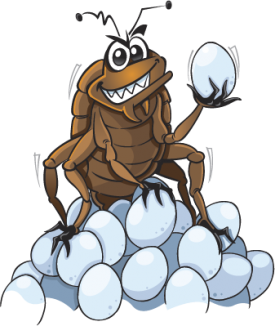 The developing adult flea is protected by the hard shell of the pupa itself, and also by the layer of dirt covering it. Adult fleas will only be killed when they emerge from the pupae and jump on your pet (as long as you have treated your pet with an effective adulticide (drug that kills adult fleas) in ‘spot-on’, spray or tablet form) or are exposed to residual levels of adulticide from the environmental flea spray. The pupal window can last several months depending on the severity of the infestation. Therefore, seeing fleas on your pet (and potentially getting bitten yourself) for up to 3 months after starting treatment for a flea infestation is, unfortunately, normal. Seeing fleas after you have sprayed does not mean that R.I.P Fleas Extra hasn’t worked, and provided you have sprayed your home effectively the first time (see our ‘5 step guide’ for details), a further spray will have no additional beneficial effect. If you are still seeing fleas more than 3 months after you have sprayed, please speak to your vet or contact us.